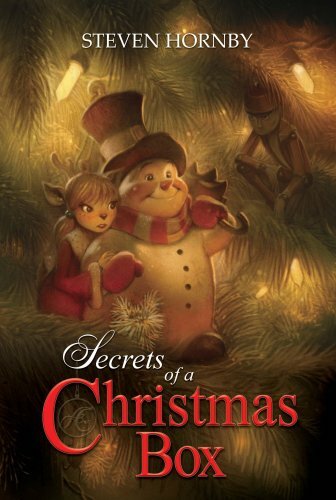 The Children’s Book Review presents a guest post by Steven Hornby, author of Secrets of a Christmas Box. Hornby is a multi award winning animator—I’m sure you’ve seen some of his work in ‘The Lord of the Rings’, ‘King Kong’, and ‘Kung Fu Panda’—who has created a truly original Christmas novel that brilliantly showcases his creative mind. This year we selected ‘Secrets of a Christmas Box’ as one of the Best Christmas Kids Books of the year. I was sat down outside a cafe, enjoying a warm late-afternoon Cafe Late, looking out over the lake in Queenstown on the South Island of New Zealand. With it being late June, and the middle of winter in New Zealand, I noticed the snow on top of the mountains across the water from me, usually a brilliant white, now glowed with a warm peach color just as the sun settled behind the opposing hillside. As darkness crept over the lake, several trees alongside the cafe were suddenly illuminated by Christmas fairy lights that littered their trunks and branches. The path of lights had been twisted orderly up and around the trunk of each tree, like candy cane stripes.